I currently have only one scultpure finished and ready for sale. 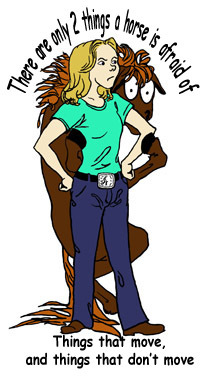 Run your mouse over each episode to see a larger full version. 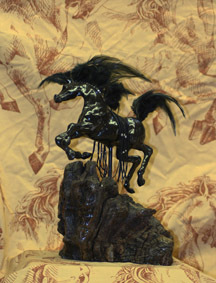 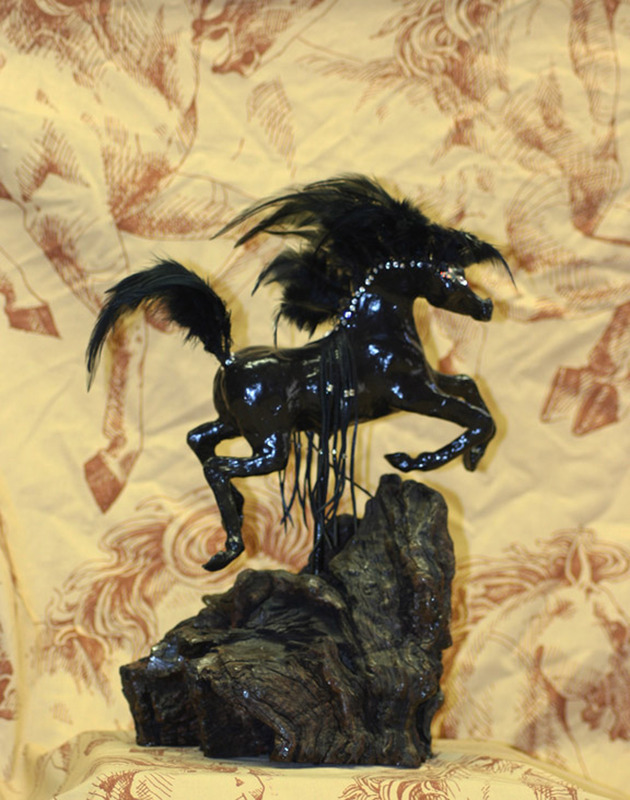 Playful abstract wild horse, dark as night, sculpted in epoxy resin and mounted on a 150 year old grapevine base, with feather and rhinstone mane and tail, leather beaded fringe saddle blanket.